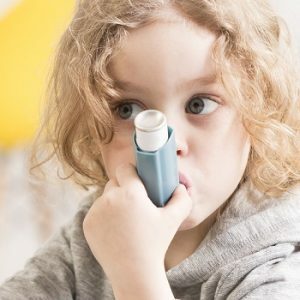 Natural Health News — Dietary intake of two fatty acids, omega-3 and omega-6, may have opposite effects on the severity of asthma in children and may also play opposite roles in modifying their response to indoor air pollution. In a new study, published in the American Journal of Respiratory and Critical Care Medicine, researchers from Johns Hopkins University looked at 135 children, ages 5-12 (average age: 9.5), with asthma. Roughly a third of the children had mild asthma, a third moderate and a third severe asthma. Ninety-six percent of the children were African American, and 47% were girls. The children’s diet, daily asthma symptoms and asthma medication use were assessed for one week at enrolment and again for one week at three and six months. During the same time periods, the investigators measured two types of home indoor particulate pollution, PM 2.5 and PM 10, which are known asthma triggers and lead to increased symptoms in children with asthma. Invisible to the naked eye, PM 2.5 penetrates deeply into the lungs, reaching the tiny air sacs, or alveoli. PM 10 includes particles larger than PM 2.5, but still with a diameter of one-sixth the width of a human hair or less. When inhaled, these larger particles are deposited along the airways. Analysis showed that children with higher levels of omega-3 in their diets had less severe asthma and fewer symptoms in response to higher levels of indoor particulate air pollution. Conversely, children with higher levels of omega-6 in their diets had more severe asthma and more symptoms in response to higher levels of indoor particulate matter pollution. “There is mounting evidence that diet, particularly omega-3 and omega-6 fatty acids, may play a role in lung health,” said Emily P. Brigham, MD, MHS, lead study author and assistant professor of medicine at Johns Hopkins University. “Many children in the U.S., including those in Baltimore City [Maryland], where we conducted our research, consume a diet that deviates sharply from national guidelines. Typically, this means they are eating low amounts of omega-3, and higher amounts of omega-6,” said Dr Brigham, adding that paediatric asthma rates in the city are more than twice the national average. The study also found that higher levels of omega-6 in the children’s diet correlated with higher percentages of neutrophils (a type of white blood cell linked with inflammation) in response to particulate pollution. The study did have some limitations. The children’s intake of the fatty acids was self-reported by the children, with help from parents, using a dietary questionnaire specifically designed for residents of Baltimore City. Because the study was observational rather than a randomized, controlled trial, the researchers could not prove cause and effect or rule out other factors that may have contributed to relationships noted with asthma health. Nevertheless, the researchers believe their study highlights the potential importance of diet to a population that experiences high rates of asthma.